Comments Off on Mind Your Posture, take care of your pocket. Month of May is internationally considered as ‘Posture Month’. For me, posture is something everyone must follow through a year throughout life. Starting from home, it should be practiced at school, work and even while recreation. It is also a much repeated word in the musculoskeletal rehabilitation world. One must understand that no one has a perfect or ideal posture and you can’t compare yours to someone you idolise/respect. Posture, in my opinion, is someone’s identity in which they feel comfortable even when they maintain a bad posture. The best scientific definition of posture I have come across was by Dena Gardiner in her book on ‘The Principles of Exercise Therapy’- a textbook we used in our first in physical therapy school. She states ‘Posture is the attitude assumed by body either with support during muscular inactivity or by means of coordinated action of many muscles working to maintain stability or to form an essential basis which is being adapted constantly to the movement which is superimposed upon it.’ Though the definition is lengthy, it precisely explains the term posture very well. In the first part of her definition she is talking about inactive postures which we use for rest or for relaxing like lying or well supported sitting. In the second part, it is about active postures like standing which is a static posture, walking, running, dancing etc which are examples of dynamic postures. Numerous researches have taken up on the significance of posture and pain. Sato et al. (1999) confirmed that posture has a potent effect upon the pressure within the disc. It is apparent that different postures and movements influence internal disc dynamics and disc pressures (McKenzie and May). A good percentage of musculoskeletal problems arise from poor postural habits and that not only limited to back and neck alone, it affects any joints let it be shoulder, hip or even temporomandibular joint. Wright el al. (2000) concluded that posture training and temporomandibular disorders self-management instructions are significantly more effective than self-management instructions alone for patients with temporomandibular disorder who have a primary muscle disorder. 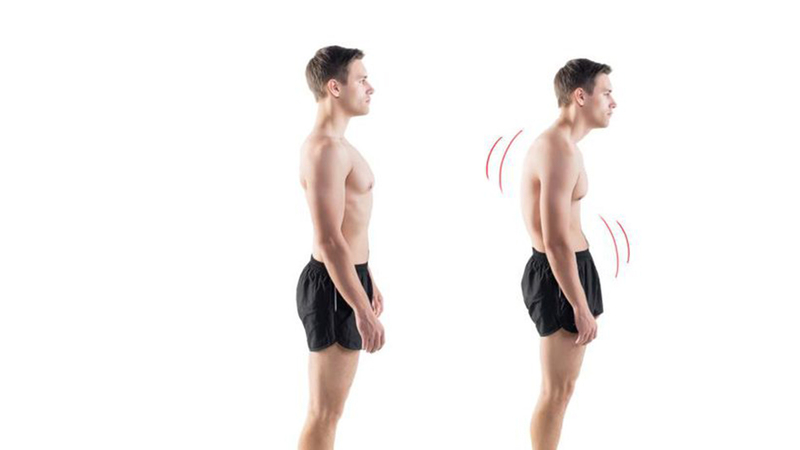 Treatment of these ailments arising from posture are very simple, by correcting the poor postural habits patient perceive a full recovery since there is no structural damage involved as long as consultation is made at its initial stage. Expensive imaging studies and electrodiagnostic measures are simply a waste of resources at this stage. 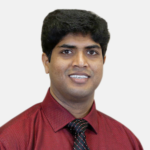 Education is of utmost important as patient can manage their symptoms by simple corrective techniques. While treating a musculoskeletal pathology, we use the same concept an architect uses with weight distribution and effect of gravity on a building. Like a construction with poor foundation, a body with poor posture is less resistant to the strains and stresses we experience over months, years and decades of life. The force of gravity has its effect on everything in the earth. 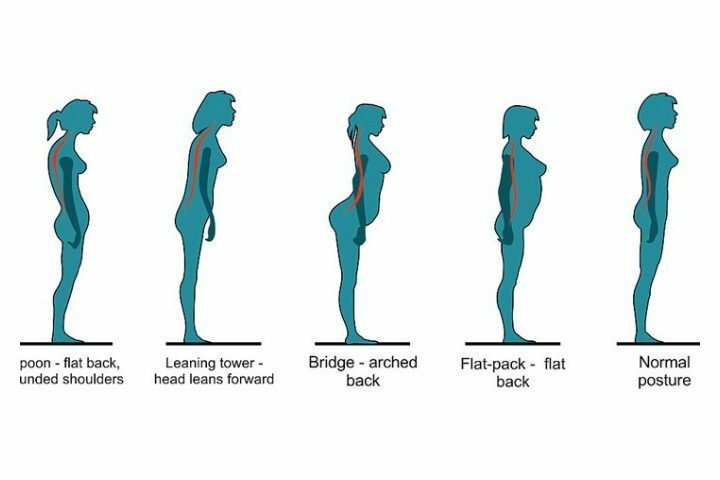 Posture is classified as good, fair and bad based on body’s alignment and positioning with respect to the ever-present gravity. Even when you feel very comfortable be in your recliner, if the line of gravity is passing through an area of your body which is not designed to take that much of strain, your posture is not good though you feel comfortable for that moment. Likewise, when the energy expenditure to maintain an active posture is more it is not an efficient posture. Maintaining those postures lead to musculoskeletal problems in the long run. Initially, body tries to adapt and accommodate for the change but tissues which are taking up this additional strain, if they are not designed for it – eventually they compromise. For example, if the muscle tissue which are designed to do a stabilizing function started to act as prime movers they are going get injured as they are not designed to do that work. As a footnote, no one has a perfect posture and it’s all about the awareness of good postural habits so one wouldn’t spend too much time in awkward postures compromising tissue integrity. Keep moving and keep changing. Motion is lotion to your joints. Dena M Gardiner (1919), The Principles of Exercise Therapy. G Bell and Sons Ltd, p 245. Sato K, Kikuchi S, Yonezawa T (1999). In vivo intradiscal pressure measurements in healthy individuals and in patients with ongoing back problems. Spine24.2468-2474. McKenzie R, May S (2003). The Lumbar Spine Mechanical Diagnosis & Therapy.Volume 1. Spinal Publications New Zealand Ltd, Waikanae, New Zealand. Wright EF, Domenech MA, Fischer JR (2000) Usefulness of posture training for patients with temporomandibular disorders, J Am Dent Assoc. Feb;131(2):202-10.